Every food truck business needs a bank account. If for no other reason, it can help you keep your personal and business finances separate. But how do you choose a bank that fits your business needs? In today’s market, bank options vary a lot in terms of services offered, technology, and pricing. 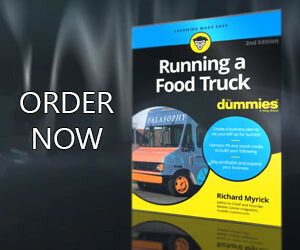 Today I’ll discuss how to choose the right bank for your food truck business, starting with how to figure out what you actually need. Selecting a bank to handle your food truck’s financial needs is different from choosing one for your personal life. To get the most from a bank, be prepared to spend some time investigating your needs and your options. First, make a list of the services you want when you choose a bank. Are you looking for low fees, access to ATMs, awesome banking technology options, an SBA loan or a combination of these and other services? Find out the details for each of these bank services, including any fees or requirements. Checking account fees are common, but some banks offer free business checking accounts with no minimum balance. Fees and requirements (minimum balance, checking fees, monthly required use of debit card) vary from bank to bank, so take time to shop around and look deeply into the details when you choose a bank. If you are looking for a sophisticated banking platform for your food truck, go big. Local options are the best banks for most food trucks. They offer personal interaction, strong accountability, and great loan opportunities. The bankers you speak to on a daily basis are the same individuals making decisions about your viability as a borrower. Research suggests that small banks are most likely to approve small business loans and are more likely to offer loans during economic downturns. Developing relationships with bankers at a local bank can be a positive business decision for a new food truck. In addition to gaining banking services, your banker can act as a local financial consultant. Online-only banks are new, but are quickly emerging as a viable option for some food truck owners. If you do not accept cash, these online services are able to cut down on overhead for banks, meaning decreased costs for you. If you’re tech-oriented, this approach to banking probably jives with your business model. A point to consider when you choose a bank is that many online banks offer business savings but not business checking accounts. This would require you to open a personal checking account. This can be a huge detractor for some, but may work for your business. Credit unions, unlike other financial institutions, act as non-profits. They serve the community with lower fees, lower loan rates and higher interest rates than commercial banks. The members of credit unions actually own the institution, which means it works for you. Here’s the problem. Just like internet banks, many credit unions don’t offer business accounts. To find one that offers business services, start searching for a credit union to explore individual options from there. PRO TIP: No matter what, your financial institution should be FDIC or NCUA approved. These designations ensure that your assets are protected. As you work through the process of finding the best banking options for your food truck, turn to trusted friends in the industry who are already dealing with business banking. See if you can get a specific name of someone to call your bank of choice. Banks know that they have higher margins of retention from referred customers. So, leverage this fact to your advantage, and stress your need for high levels of great service. Once you choose a bank that works for your food truck, don’t forget to shop around periodically. It’s important to constantly re-evaluate your food truck’s financial needs every time your bank changes something about the service they offer. This includes increases in loan interest rates or adding on a new finance charge. Even if the customers service is satisfactory and consistent, we recommend reevaluating your banking needs every couple years. A good bank can prove to be an invaluable partner to your food truck. Not only can they help borrow capital, but they can also work with you to plan for the future and assure potential customers of your truck’s stability and credibility. Put as much effort into how you choose a bank…the right bank, as you would put into landing a big catering client or hiring a new member of your food truck team. DISCLAIMER: Mobile Cuisine and its affiliates do not provide tax, legal or accounting advice. This material has been prepared for informational purposes only, and is not intended to provide, and should not be relied on for, tax, legal or accounting advice. You should consult your own tax, legal and accounting advisors before engaging in any transaction.